Trinidad & Tobago’s winning team celebrates with CHTA and Taste of the Caribbean representatives. 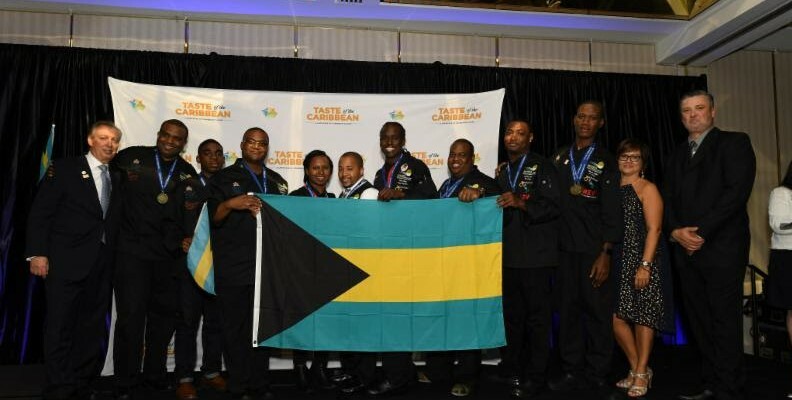 Trinidad & Tobago is the Caribbean National Culinary Team of the Year. 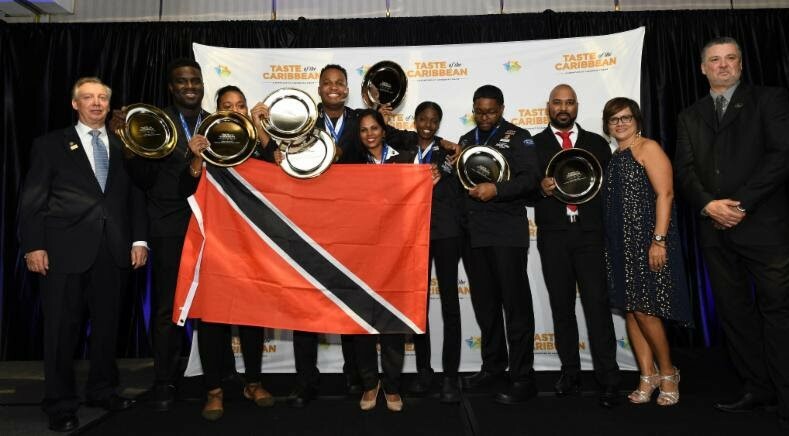 The team won top honors in the finale of the 2018 Taste of the Caribbean culinary competition at the Hyatt Regency in Miami on June 26 after also winning the Bartender, Best Non-Alcoholic Drink and Beef categories. The competition took place from June 22 to 26. Trinidadians in the winners’ row include Shana Rajahram, who won the Caribbean Bartender Competition; and Tricia Gregoire, who captured the Certified Angus Beef-sponsored Beef Competition. The Best Non- Alcoholic Drink award also went to Trinidad and Tobago. 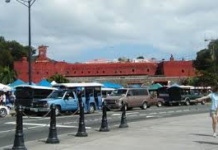 Bahamas, Barbados, Belize, Bonaire, Cayman Islands, Curaçao, Jamaica, St. Lucia, Suriname, Trinidad & Tobago, and Turks and Caicos selected their best chefs and mixologists for this year’s event, which was hosted by the Caribbean Hotel and Tourism Association (CHTA). Jamall Small from the Bahamas was crowned Caribbean Chef of the Year while teammate Hazen Rolle was named Caribbean Junior Chef of the Year. Rolle also received the Hans Schenk Commemorative Award for the Most Innovative Dish Utilizing Indigenous Ingredients. A victorious Bahamas contingent at this year’s Taste of the Caribbean. Vadivel Raju from Turks and Caicos won the Caribbean Pastry Chef competition; Radiance Modeste of the British Virgin Islands topped the Seafood competition, while Rodney Corbin of Barbados won the Cemoi-sponsored Chocolate category. Best Rum Drink went to Bonaire; St. Lucia topped the vodka drink category, and Best Mystery Bar Drink, sponsored by Angostura, went to Curaçao. 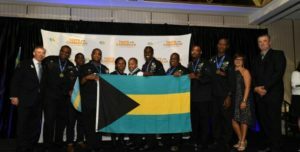 A combined team representing chefs from some of the Caribbean destinations that were impacted by last September’s hurricanes also competed. 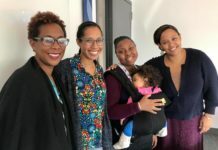 The team, which included members from Anguilla, British Virgin Islands, Puerto Rico and the United States Virgin Islands, won the Tony Mack Spirit of the Competition award.